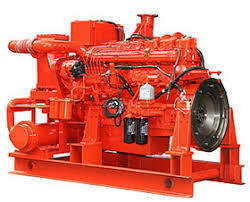 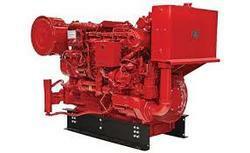 Pioneers in the industry, we offer fire pump diesel engine service, fire diesel pump service, kirloskar fire pump, koel diesel engines pump parts, fire pump diesel engine parts and diesel engine for fire fighting parts from India. The DIESEL ENGINE Driven Main Pump's function is to START automatically when a hydrant valve or sprinkler is activated and to provide adequate quantity of water under pressure to the system. 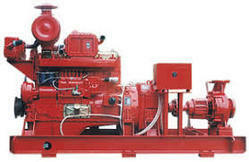 The capacity of the pump will differ, basis the size of the system. 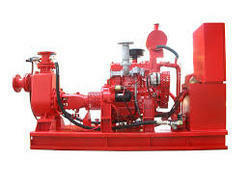 The pump is stopped manually. 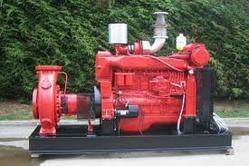 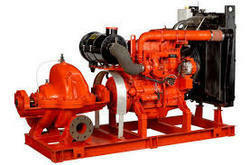 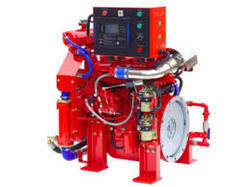 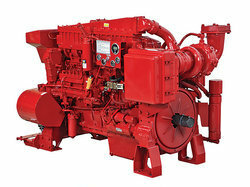 Looking for FIRE FIGHTING PUMPS - Diesel Engine ?